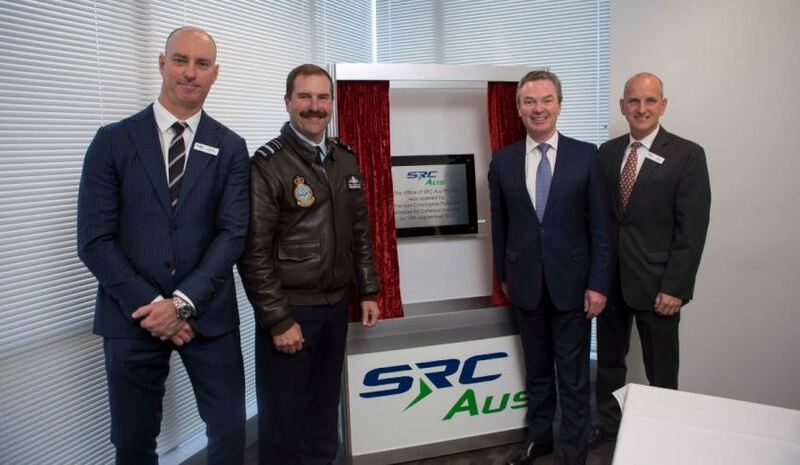 Minister for Defence Industry Christopher Pyne at the opening of SRC Aus' Canberra office. A new office has been launched in Canberra in preparation to provide data sets for operational missions for the F-35A Joint Strike Fighter. At the opening of its new office, SRC Aus announced the company has won a $17 million Defence contract to help deliver the Ghosthawk mission support system to be used to produce trusted mission data sets, providing jobs for 15 engineers in Adelaide and eight in Canberra. Ghosthawk will replace Australia's existing mission information systems, helping bring to life Australia's fifth-generation air force. Defence Industry Minister Christopher Pyne said the Ghosthawk technology will create unrivalled situational awareness for the Royal Australian Air Force. "SRC Aus will play a vital role in developing our fifth-generation air combat force," said Minister Pyne. "Ghosthawk replaces our existing mission information systems with an integrated, next generation intelligence support system capable of collecting, manipulating and disseminating data to our pilots and their aircraft. "The data from Ghosthawk underpins the key information advantage the JSF will bring to the Air Force – data on weapons, radars, other aircraft and EW systems, all integrated with the fighter’s on-board suite of advanced mission sensors to create unsurpassed situational awareness." The minister added that SRC Aus' work will grow expertise in the field of complex electronic warfare information and analysis, and develop a uniquely Australian information product for the JSF, while also working closely with with Australia's international partners. "This is an excellent example of an overseas defence company seeing an opportunity in the defence sector here in Australia and bringing their expertise here to employ Australians in advanced, high-tech jobs." Minister Pyne said. So far, more than 50 Australian companies have directly shared in more than $800 million in JSF production contracts. In addition to the contract, SRC Aus’ parent company SRC Inc. is under contract for developing the Ghosthawk mission support system valued at $92.7 million.